Do you regularly respond to a person or a group’s actions or decisions in a way that is opposite of what you really feel—as evidenced by your tone or body language (smirking, raising eyebrows, cocking your head to the side, or sighing)? Sarcasm can ruin your relationships as its goal is usually to scorn, belittle, insult, or express irritation or disapproval. 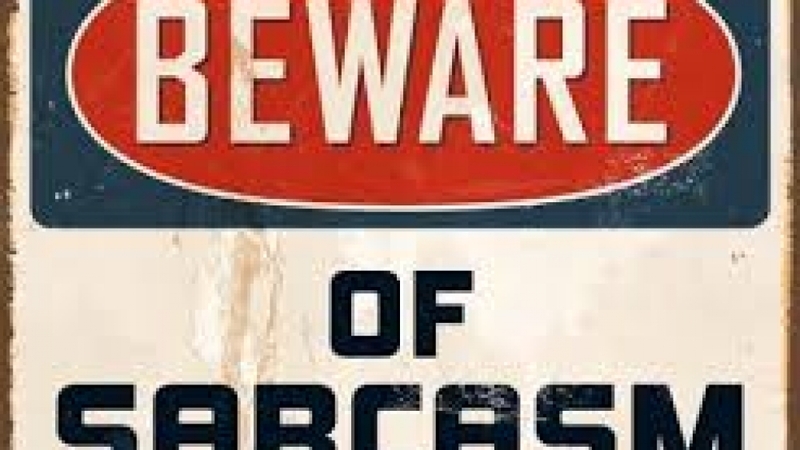 Admit your motive for being sarcastic. You may be attempting to control other people or to shame them out of behavior that you disapprove. Face it, the only person you can control is yourself. Or, maybe you are trying to display your great intellect by calling attention to the deficiency of another. Practice a more direct approach to expressing your displeasure. Posing a simple question designed to gain a better understanding will go a long way. For example, rather than asking “What in the world were you thinking?” try, “What strategy or goal did you have in mind when you made that move?” This latter statement expresses confidence that surely some forethought was applied. God will give you the right words to say if you ask him to do so. “…those who are wise will find a time and a way to do what is right, for there is a time and a way for everything…) (Ecclesiastes 8:5-6 NLT). Consider the implications and consequences of what you are about to say before you say it. Ask yourself, “Will my words imply that the hearer is stupid or has poor judgment? Do they tear down or do they build? “Do not let any unwholesome talk come out of your mouths, but only what is helpful for building others up according to their needs, that it may benefit those who listen” (Ephesians 4:29 NIV). Make sure every word passes the “benefit” test. Consider how you would feel if someone were to say to you, what you are about to say to another. Let the Golden Rule be your guide.